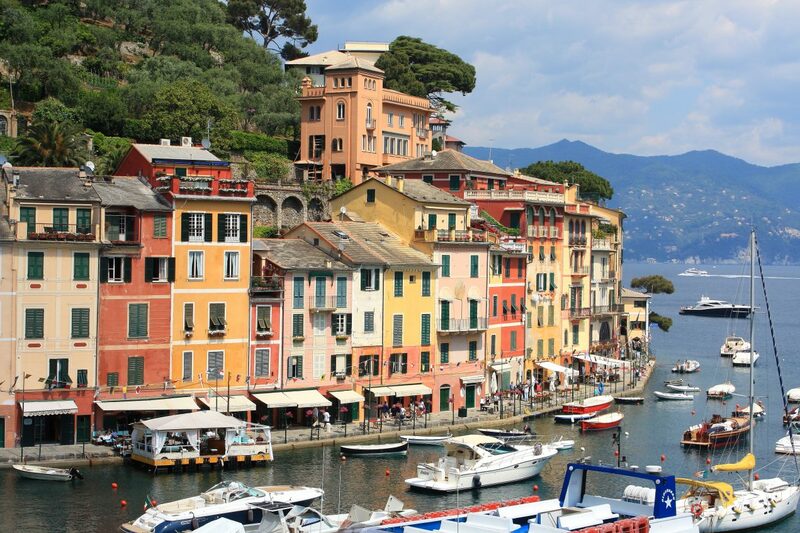 Who has never heard of Portofino – where luxury and nature coincide? This place is world famous, was sung about in the 1950’s and offers numerous attractions for visitors. Apart from satisfying the curiousity of those interested in hobnobbing, Portofino has the sea and the surrounding countryside of the Park and Protected Coastal Area. The Park of Portofino and the Promontory offer 80 kms of signposted trails that are open all the year round. The terracing you will see is typical of how man has worked the land in this area. You can choose between 13 itineraries of varying difficulty and length to immerse yourself totally in nature. For further information, consult the Park of Portofino website. The Protected Marine Area of Portofino includes Camogli, Santa Margherita Ligure and Portofino. There are loads of acquatic activities on offer from underwater diving to yachting, from amateur to professional fishing. Don’t miss the tours available on rowing boats and seawatching where you can learn about the waters of the Marine Area. For further information consult the Portofino AMP website. A focal point is the Portofino lighthouse which is at the far end of the Promontory. To get to this vantage point you can follow an interesting walk past the Church of San Giorgio and the Castello Brown, a fortress with Roman foundations.